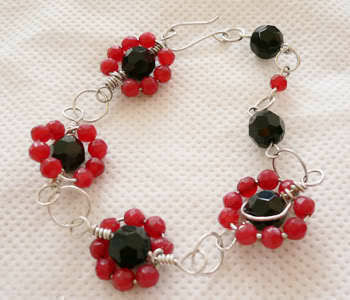 I would like to share with you guys the techniques I used to make the flower wire wrapped link components that is used to form a bracelet. Prepare about 4" 20ga round wires. 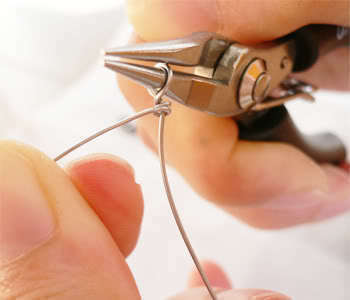 Grip the round nose pliers about 1" from the top of the wire, create a loop and then wrap the tail 5x around the stem wire very neatly. 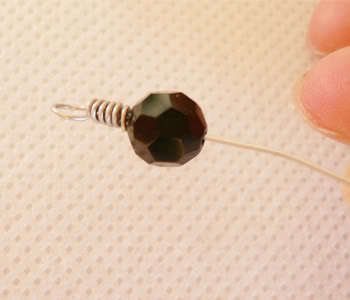 Thread a round bead into the other end of the wire and pull it towards to wrapped loop. 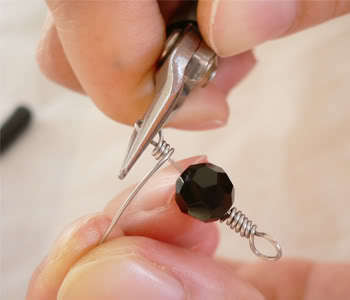 Leave about 0.5cm from the bead and twist the pliers through 90 degrees away from you, create a loop then wrap 5x the tail onto the stem. 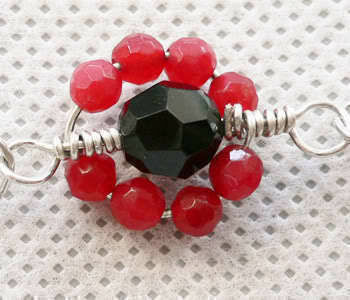 Thread about 8 small beads into the wire. 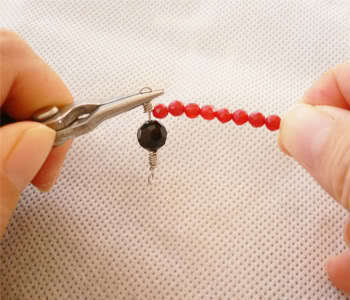 Wrap the small beads around the round bead. 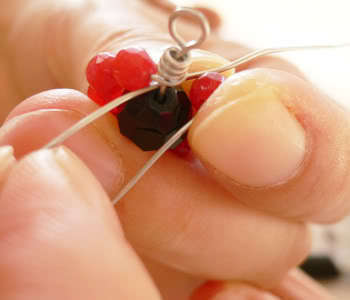 Pull the wire into the hole as shown in picture. 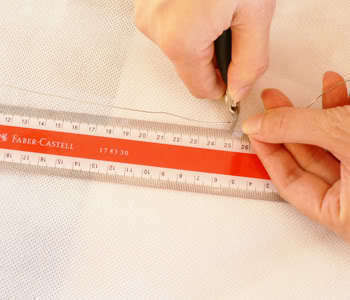 Wrap the wire 2x then cut off excess wire. Make as many flower link as neccessary. 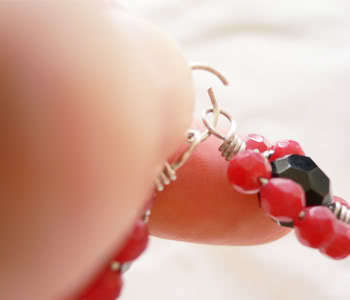 Link them together using jump ring.